Is it possible to cheat in Mafia City? Yes, cheating is possible on Android, iOS and Facebook using mods and hacks to enable cheats in game by simply downloading modded game files, bots can be used to automatically play the game for you and farm essentially unlimited gold, cash and resources over time and build your city. However, hacking gold and resources / items / VIP level ect directly is sadly not possible, since this is an online game and your ‘savegame’ is stored safely on the YottaGames servers that cannot be hacked. 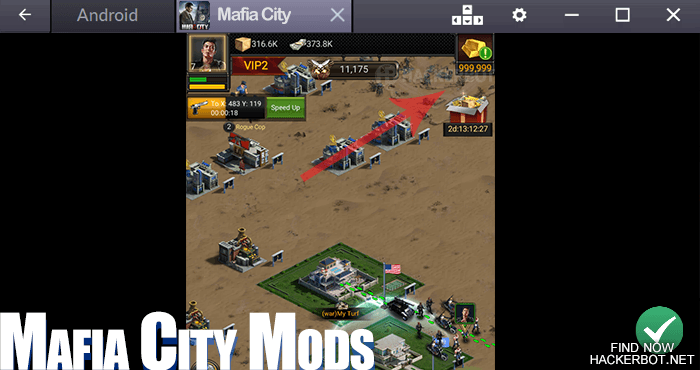 Mods, more commonly known as Hacks on Android and iOS are modified versions of the original Mafia City game that have been deconstructed, manipulated and edited and can simply be downloaded, installed instead of the actual game and will allow the user to simply start the game and play with Mafia City Hacks enabled. 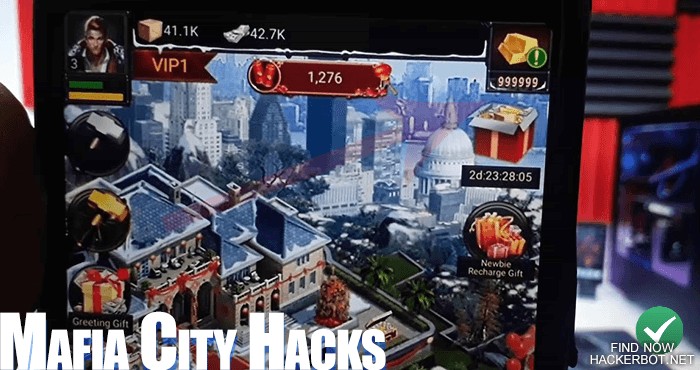 – This is without a doubt the easiest and most popular way of cheating in Mafia City, since it requires no knowledge of game hacking, no experience and no further hardware. Most mods do not even need a root or jailbreak on mobile and on Facebook. Mods can allow you to farm resources quicker, automatically build and attack, get more free gold ect. However, the downside of Mafia City hack mods is that a mod that you download for free from the internet will only work as long as the game does not get updated. As soon as the game gets even one single update, the modded APK / IPA file will be outdated immediately and you will have to go and find a new one. A bot or ‘robot’ is an app or software program that can automatically play Mafia City for you, attack and rob other cities, manage multiple accounts, play on farm and raiding accounts, automatically upgrade your city / mansion, level your Babes, farm Cahsh/Money, arms, metal and cargo. A bot can also automatically redeem daily rewards. A Mafia City bot is an advanced tools, but one that most of the top players are using to a certain degree. Because at the higher level of Mafia City players one has to manage a lot of accounts (farm accounts) in order to stay competitive and attack then regularly. A bot can raid and loot farms every few hours 24/7 without requiring sleep. However, coming by a working Mafia City bot is hard these days and most people will have to create their own bot using macros and emulators. Albeit creating a bot is definitely a challenge, it can be done and may be worth it. As already stated, getting a hack or generator for unlimited money, VIP level, free gold or resources is impossible. It is impossible because all this data is stored on the game servers and those cannot be hacked in any way. Such is the nature of online games. 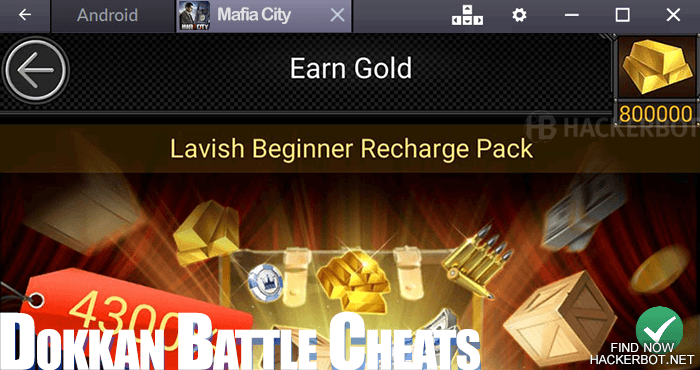 The only way to get hacks for unlimited free gold in Mafia City would be to find an exploit or set up a private server that you own yourself and then simply give yourself unlimited gold and resources, since you are the server admin. Exploits on the other hand are rare bugs in the game that can make it possible to get unlimited resources, gold, glitches items ect. However, these bugs are usually patched quickly, so if you are going to benefit from them and using them to cheat, you need to do it while they are not public yet.